Itâ€™s all for sale! The Swamp, Albert, Tigert Hall, Sonnyâ€™s, the Student Ghetto and much more. You could even buy Gainesville, Florida! 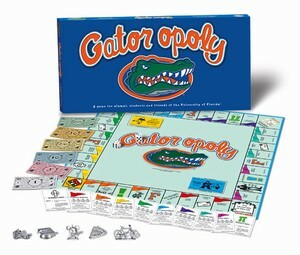 Hereâ€™s a game for every Gator alum, student and fan. Choose a token and advance to Register and Proceed. You may become the baddest Gator of them all!